In the Fashion issue of Zee LifeStyle Magazine (Aug/Sept) of which I was a contributor (La Vie en Rose), I chose to feature Ann Ong, accessories designer extraordinaire and winner of the October 2012/May 2013 Katha Awards at the Manila Fame Trade fair in the Best Design category. When I met Ann Ong in 2007, she was a budding entrepreneur with a fledgling boutique at the Ramp in Glorietta 4 and Shangrila Mall. Cosmopolitan, as she aptly called her venture, carried off- the- rack dresses, bags, footwear and fashion accessories for the budget conscious fashionista. I always believe that there is always room for growth and reinvention. Always believing in her heart that her creativity knows no bounds, Ann Ong started to design clutch bags and fashion accessories (necklaces, cuffs) and used different materials like wood and metal to turn her designs into reality. Rajo Laurel admired her work and put her pieces in his shop. 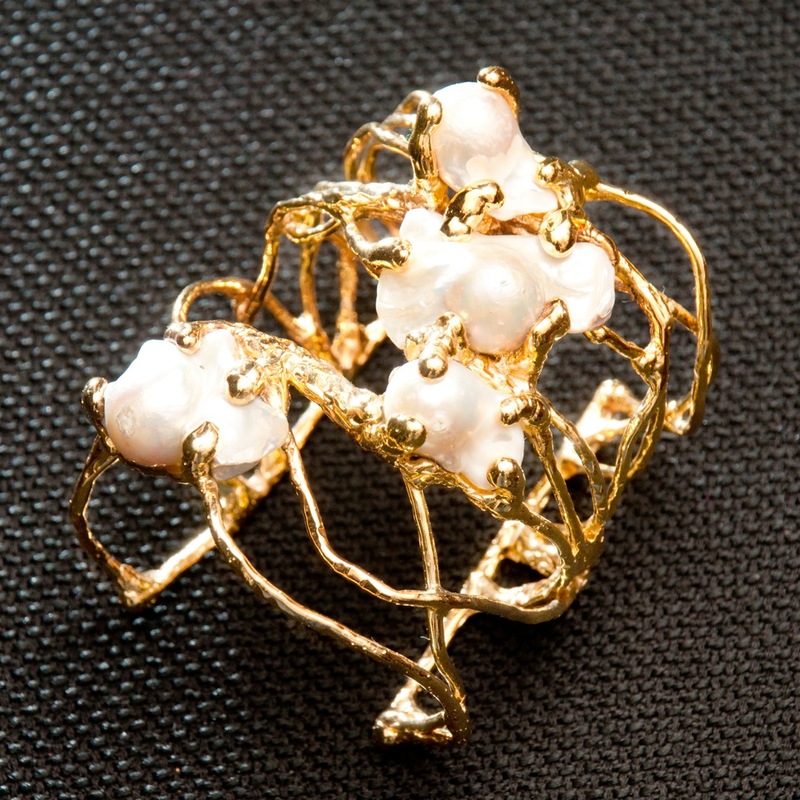 They sold fast and this encouraged Ann Ong to expand her line and design more pieces. She joined the Manila Fame in 2012 and her entry, "Binanig" metal clutch won in the "best design" category. In 2013, her 2nd entry in the Manila Fame Trade Fair again won in the same category. 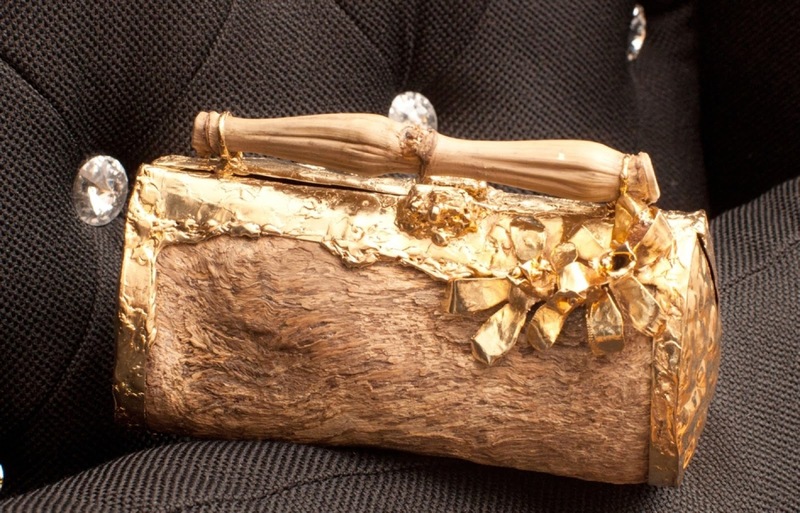 This time, her winning piece was a clutch made of wood embellished with metal. 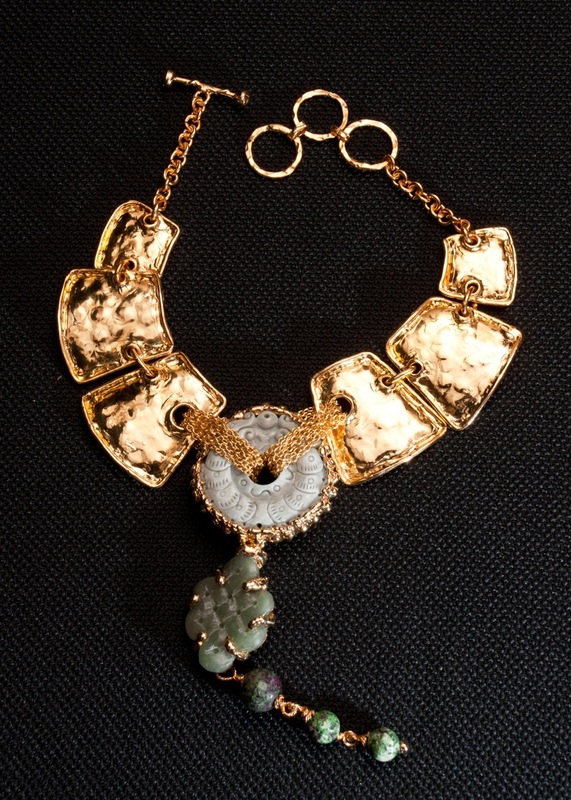 Fashion editors and lifestyle writers started to feature her and her pieces are now very much in demand. There is no stopping Ann Ong now. 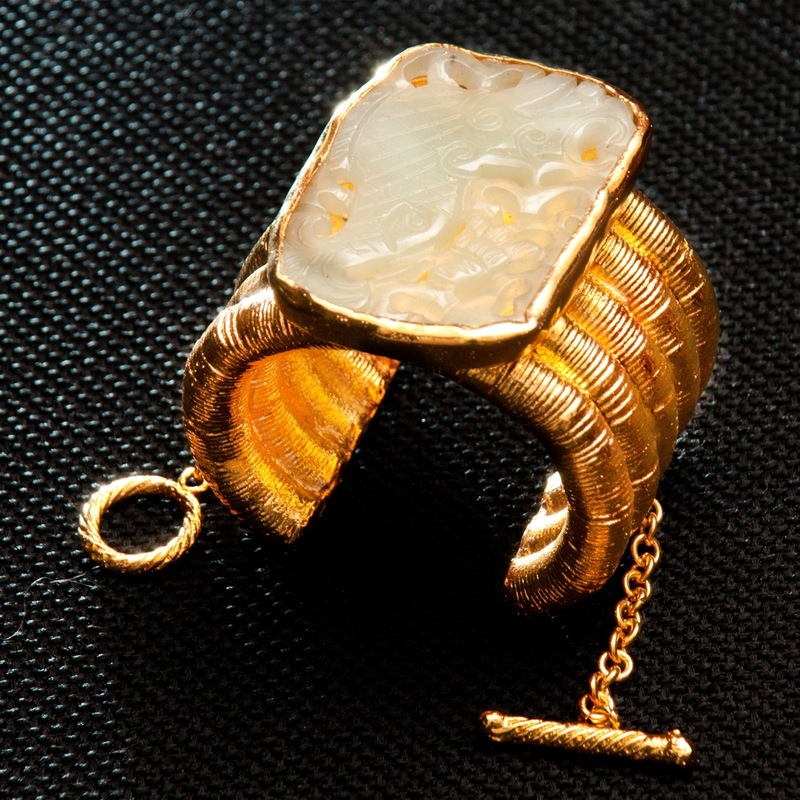 Her pieces are sought after by fashionistas of all ages. She has both traditional and avant garde pieces to make sure she gets into the realm of the ever fickle fashion world. As a word of warning, since Ann Ong's pieces are hand casted, they are one of a kind and she does not repeat a piece. 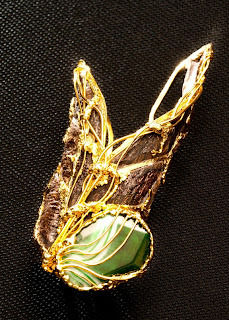 Ann Ong displays her green collection. 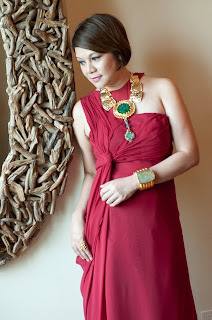 glamor lady Linda Ley was spotted in a party sporting Ann Ong pieces: "Binanig" metal clutch (the inspiration here is the local banig), a pearly cuff and a necklace with jade beads and pendant. 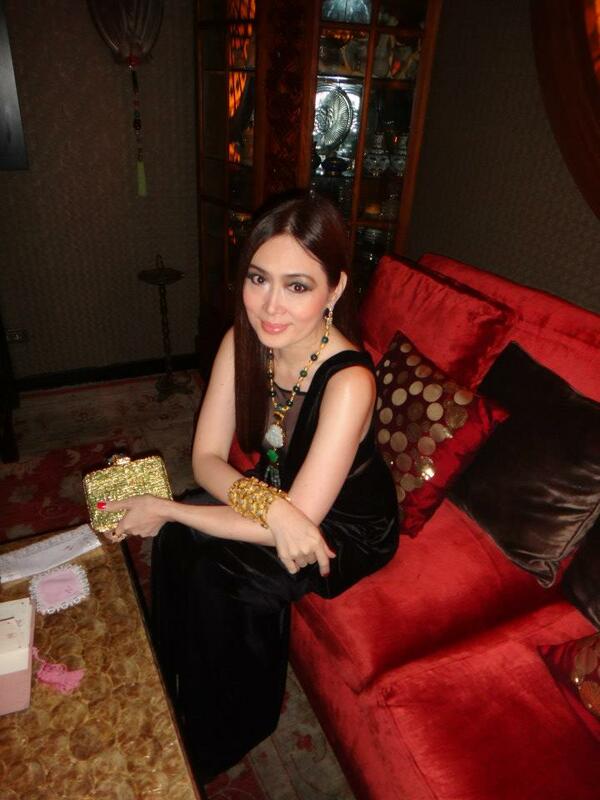 At Louie Ablaza's birthday bash, I chose to embellish my simple gown with Ann Ong's necklace, belt and metal minaudiere. 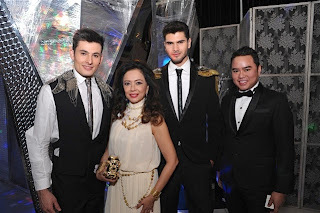 I am flanked by two Brazilian models and Francis de Leon of Marco Polo Hotel. 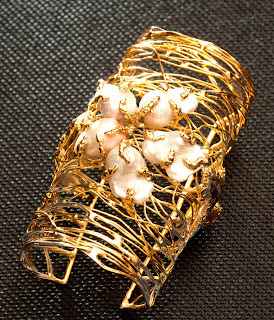 Ann's mesh collar is made of malleable metal embellished with baroque pearls. With matching overextended cuffs. 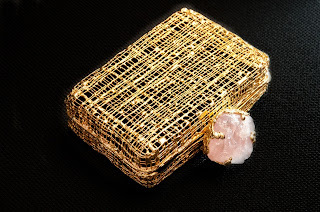 this wooden minaudiere is one of a kind! jade and gold is always a best seller. 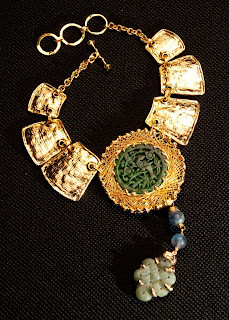 another version of the jade and gold neck piece. So Unique! bracelet in wood, jadelite, and 24k gold dipped metal.